Whoa! Slow the ! @#$ down! So I went to go see Legend of the Guardians back in September. It’s a CGI movie about a bunch of armored Owls, whats not to like right? Well I’ll tell you whats not too like. Its too damn fast. This movie tore across the screen faster than Chuck Yeager breaking the sound barrier. This movie moved so fast that I thought that it was running from the slasher film that was showing next door. It wasn’t the fact that it was 90 minutes either, I’ve seen plenty of movies that have had a nicely paced plot fit into 90 minutes. Shrek was approximately 90 minutes and it was brilliantly done, with a beginning middle and end. Rather than feeling like a relaxed movie-goer, I felt like I was tied to the back of a speeding car face down…naked. Just scraping along the harsh pavement until the front of my body resembled one of those anatomy dummies you see in science labs, with the removable ribs and stuff. I was confused and bewildered at the visions that passed in front of my eyes, it was more like a hallucination than an actual movie. Disjointed and vague. And I finally realized the real problem was that this movie had no beginning or middle. Legend of the Gaurdians was basically one huge ending. It had kind of a beginning…sort of…I think. 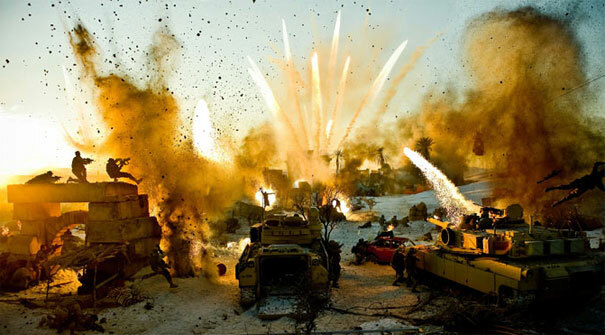 It might have gotten lost in the franticly paced action scenes that dominate the movie. This movie grabbed me by the throat and didn’t let go. And not in a good way, not “Oh my god, these characters are so compelling!” but more “I can’t breathe! HELP!” and my face turning blue. Legend of the Guardians suffocated me with so much information that I didn’t know which way was up! Remember in Transformers 2, where the action scenes were so busy and filled with explosions you couldn’t tell who the hell was even fighting anymore? Well Legend of the Guardians is kind of like that, it was almost as if it were a really creative metaphor about Michael Bay’s directing style. The fight scenes themselves were actually beautifully done, and Michael Bay should watch the movie and see how to do a fight scene without completely disorienting the audience. Unfortunately the movie seems to be in such a rush to get there it neglects why the fight scenes are even happening, or why we should care. They allowed exactly less than a minute on character exposition for each of the 20 or so characters in this movie. And they all seemed like they would be interesting, had we had the chance to get to know them. Their lines are so brief and they get so little time I didn’t even know that this was an all-star cast until I saw the credits. With that kind of talent they should have given these people alot more than the two dozen or so lines I heard from them. And it wasn’t like these were cameo parts either, Geoffrey Rush portrayed Ezylryb (Good luck pronouncing that by the way) who was basically the guy who created the “Legend” in the Legend of the Guardians. He also becomes Sorens teacher, supposedly anyway; since that scene only takes up a whopping two minutes I can’t be sure. I can understand wanting to keep it short for the kiddies, but this was just taking it to the extreme. This was the movie equivalent of hacking off a leg when all the patient had was a hangnail. It completely cripples the story, because without the necessary story exposition and characters there’s nothing there. It’s just a hallowed out shell, a vehicle for action scenes but without a driver inside. It all appears to happen for its own sake, mechanical and rehearsed, rather than a natural evolution of the story. And you know what? I still really enjoyed the movie and I hope they will make a sequel, and do it properly this time. Because despite the brevity of the movie, I could still see that this was an epic world filled with fascinating characters and stories. I’m planning to read the Guardians of Ga’Hoole by Kathryn Lasky because, despite their being aimed toward kids, this movie did a great job of making me interested in the story. The movie unfortunately didn’t allow any exposition for the poor neglected story, but the fact I still found it fascinating despite barely knowing or understanding it, is definitely impressive on the part of Lasky’s world and probably of the directing of Zack Snyder (300, and Watchmen). So who do I blame for all this? Who took what appeared to be a grand epic story filled with characters and majesty and reduced it into the movie equivalent of heavily cut crack cocaine? The script “doctors”. The people that Hollywood hire to change scripts to make them more appealing to the audience, or rather what they imagine the audience wants (and are almost always wrong). But this post has already gone on too long. I’ll gleefully tear apart these hacks that call themselves writers in my next post. And eventually update you all on how reading the actual books was.